Trustchain is specifically designed for storing identity and creating trust. Trustchain provides full control, real privacy, and strong security. Self-sovereign identity puts people in charge their own digital identities. With our self-sovereign identity solution individuals are freed from profit-driven entities, such as Facebook, to give them an identifier. You now create your own identity, legally own it and control it along with what information is shared with whom under what conditions. Ownership creates control, transparency and helps build trust. We created a fully functional prototype of a self-sovereign identity. Strong identity is directly build inside Trustchain. Our approach containts vital improvements upon previous work, it does not require a smart contract, governance foundation or other complexity. We put your digital identity in your smartphone. We have created an "identity wallet" or "digital passport" for your smartphone. What you keep in our “important drawer” at home is under your full control, such as passports, birth certificates, utility bills. We aim to offer the same control, privacy and security on your smartphone. Our open source based infrastructure centers on people and enables a whole new ecosystem to flourish. 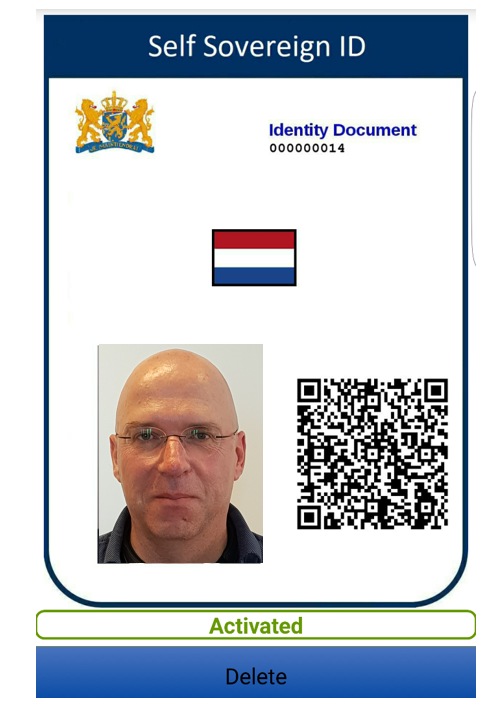 The Netherlands is the first country in the world to experiment with self-sovereign identity. The state should provide a digital identity infrastructure as a principle of constitutional law. Delft University of Technology and the government are ready to conduct the first small-scale tests with real citizens. This technology is not yet ready to be widely available. In 2018 citizens in selected municipalities can request this new blockchain-based identity. It does not require a plastic card, just your smartphone. We envision that one day this technology can be used for opening a bank account, boarding your flight, or creating a startup. However, that remains the future. This is applying the latest technology for security: the blockchain. Scientists at Delft University of Technology have been studying ledger technology and blockchains for over 10 years. Our IETF Internet Standard draft of Trustchain will be used for this trial. The provider of the paper-based passport is using biometrics to authenticate people and establish trust. That is the hard condition of the government of our Kingdom to recognize our open source self-sovereign identity, it needs biometric authentication. We developed an open API between our open source work and the biometrics. We developed alternatives for traditional biometrics. It provides security based on laws of physics. You can't easily replace fingerprints or facial features once they are compromised. Our biometrics solution takes a fingerprint of hardware you buy. This is much less invasive and in the future could be put inside smartphones. It would make every smartphone in the world unique and impossible to clone. We have developed the first software-based physical unclonable function (PUF device) which is fully open source. Scientific details of this work can be found here, "Deployment of a Blockchain-Based Self-Sovereign Identity". This work has been accepted for publication at IEEE Blockchain. 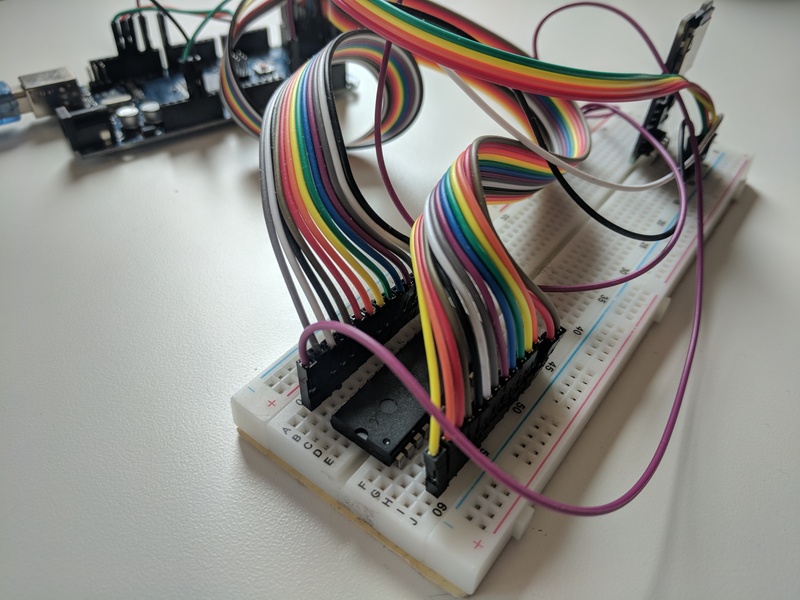 Below is a demo of our integration with DigiD, MijnOverheid and GitHub. You can read more about this implementation on https://tlswitness.org/. TU Delft is home to the largest European research groups on blockchain technology. Our work combines running code with novel approaches to broaden and strengthen the cybercurrency field. We aim to provide a secure, scalable, cybercurrency without forks and without the need for confirmations.